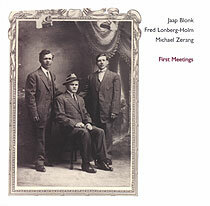 Jaap Blonk, voice; Fred Lonberg-Holm, cello; Michael Zerang, percussion, tubaphone. Recorded on 19 November 1996 at Airwave Studios, Chicago. Art direction/design (front cover reproduced above) by Dolphin Design.